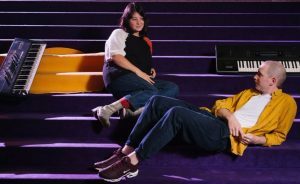 The creative minds behind underground nightlife sensation Goodgod will transform the Northern Foyer of the Sydney Opera House Concert Hall into the Soft Future Piano Bar, a plush pop-up inspired by retro futurism and a zero waste philosophy, for this year’s Vivid LIVE, part of Vivid Sydney, the world’s largest festival of light, music and ideas. The Soft Future Piano Bar builds on the success of Vivid LIVE’s Deep Purple Pool Hall and is the first such project from Goodgod since its legendary Small Club closed its doors in 2015. This pillowy paradise will feature a nightly soundtrack of minimal synthwave, long-form ambient jazz and Balearic sunset vibes plus special surprise guest performers playing an array of analogue synths. 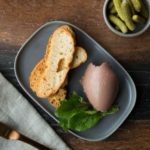 The bar’s footprint will be as soft as its décor, from furniture custom-made from recycled tyre inner tubes and natural wines dispensed on tap to slow-cooked meats and charcuterie served in reusable vessels. All food waste will be composted – naturally – in collaboration with Events by Aria. Goodgod’s custom Super Club will return to the Opera House’s Studio for Vivid LIVE 2017 featuring internationally renowned electronic producers such as DJ Harvey, Kenji Takimi and Steffi. Goodgod Soft Future Creative Director Jim Singline said, “We’ve loved being part of Vivid LIVE in years past but we can’t wait to tap into the holy trinity of food, drink and dancing as the Goodgod Super Club and Soft Future Piano Bar arrive at the Opera House for Vivid LIVE this year. As millions of international and local visitors descend on the city to experience Vivid Sydney, the Opera House sails will come to life with a futuristic tableaux of pulsing sea creatures, eye-searing bird plumage and iridescent plant life in Ash Boland’s Lighting the Sails: Audio Creatures. Beneath the sails, the Opera House’s onsite restaurants offer front row seats to Sydney Harbour bathed in light, serving up hearty winter warmers like Opera Kitchen’s Dukkah Lamb Cutlets with Tempranillo and Portside’s Sydney slow roasted Junee Lamb shoulder with barley pilaf, silverbeet and tzatziki and Rice pudding with poached Young pear, pomegranate and malt ice cream. Contemporary music fans can gain rare access to venues usually off limits to the public such as the Opera House’s state of the art Intel Broadcast Studio on the Vivid LIVE-exclusive evening Backstage Tour, and visitors can venture beneath the multi-coloured sails even later on the Sydney Opera House Tour to uncover the dramatic history of the Opera House then take in Vivid Sydney’s breathtaking light show by night. 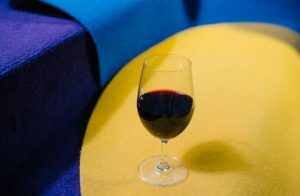 Offering indulgence in Australia’s best natural wines, panoramic views of the harbour by night, and the ambient sounds of synths, all within a zero-waste, soft landing paradise for a full recline into conversation at Vivid LIVE’s secret haven. Open 26 May to 4 June, 6pm til late. Served with glass of Printhie Shiraz from Orange NSW or Margan Semillon from Broke Fordwich NSW, Coffee or Tea. Pair front row views of Lighting the Sails with Opera Kitchen’s exclusive Vivid Sydney offer of Dukkah Lamb Cutlets served with a glass of Tempranillo for $30. Available 26 May to 17 June. Step beneath the illuminated Opera House sails for a rare glimpse into the inner workings of the country’s leading performing arts centre as it prepares for the evening’s Vivid LIVE shows. This intimate small-group tour offers rare access to spaces not usually open to the public including the Opera House’s state-of-the-art Intel Broadcast Studio, performance venues and rehearsal spaces, and concludes with dinner and drinks in the Green Room, the exclusive domain of performers and staff. Tours run at 5:30pm daily from 26 May to 4 June. Tickets $165 per person. Uncover the dramatic history, breathtaking architecture and insider stories of the Opera House on a late night tour during Vivid Sydney, after which it’s the perfect opportunity to witness the Opera House sails and Sydney harbour come to life with light and animations. Tours run from 9am to 5:45pm from 26 May to 17 June.